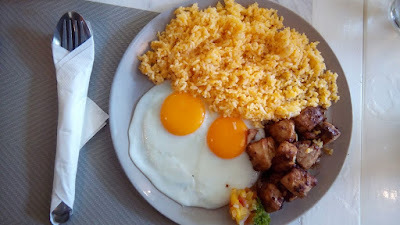 Of the six days I spent in Boracay, I was able to eat in six really good restaurants. There is one that stood out to me, it is the Sunny Side Cafe. 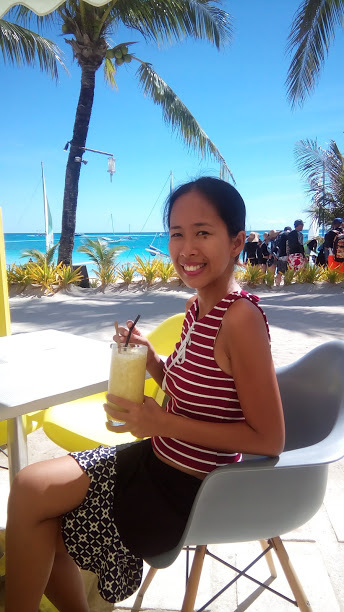 Located on the beach front, this restaurant in Boracay gives its diners a refreshing sight of the fine white sand, the bluish ocean, the fluffy clouds and swimming tourists. Finding Sunny Side Cafe wouldn't be a problem, it's beside Boracay Sands Hotel at Station 3. It looks like a piece of a castle in a white and yellow color combination. This is the place perfect to those who crave for contemporary all - day breakfast ranging from local to Western, to those who wanted to eat light and to those who have sweet tooth. This was the last restaurant in Boracay before we get back to Kalibo airport. We just wanted to eat light because we're going to take a 2 - hour van ride. We really don't want to upset our stomach til we reach Manila. We arrived around noon. It was sunny but we didn't mind waiting, I mean how can we when we are also busy people -watching? The warm smile of young waiters and waitresses greeted us. We were given the menu for us to decide what to order. I have no idea actually. 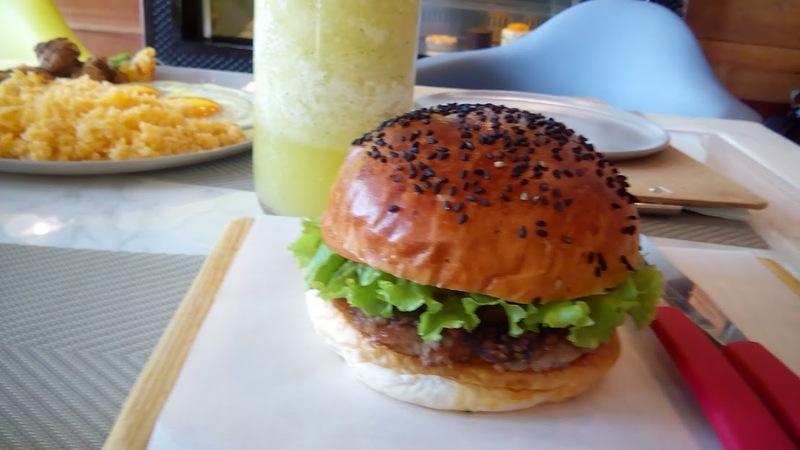 Whenever it is my first time to eat in a restaurant, I would always ask what is the best - seller they serve, that is the one I choose. While I glance each of the page of Sunny Side Cafe's menu top to bottom then left to right, I noticed the quirky names of every dish they have. 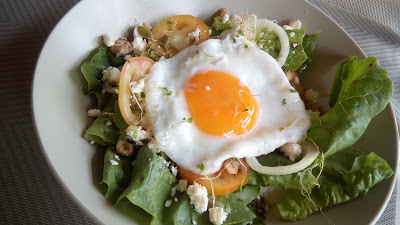 I smiled suddenly upon realizing how creative are the brains behind these food in Sunny Side Cafe Boracay. 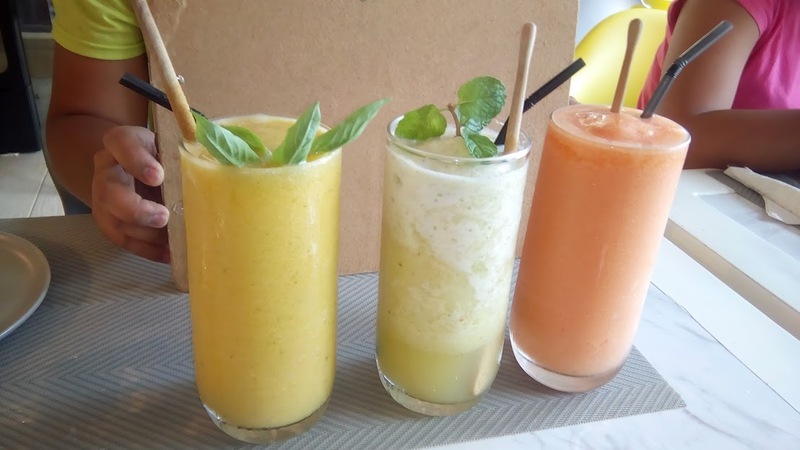 These are really heavenly - tasting smoothies in Boracay you should drink when you get there. Made from fresh fruits, getting healthy while traveling could never be this cheaper. They also ask how much sugar you'd like to put in your drinks so if you're sugar - conscious, you'll love it here. 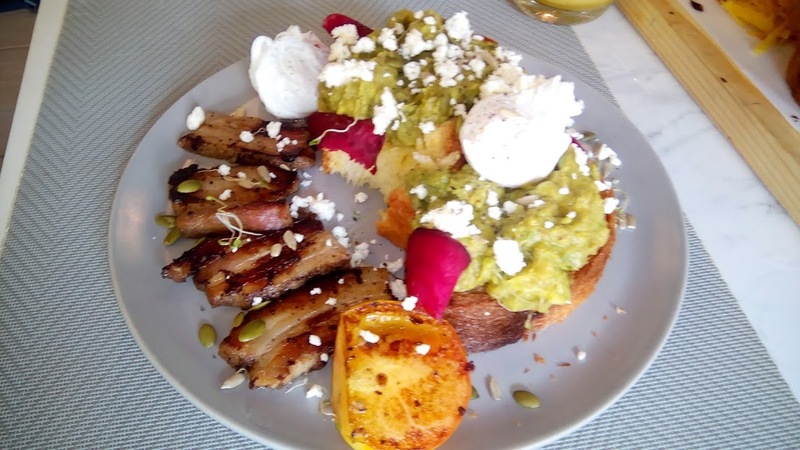 Slice of brioche toast topped with house-made bacon, mashed avocado, poached eggs and served with grilled tomato. That time I really just want to eat bread so my top favorites are a bit biased, no rice meals at all. The I Can't Believe It's Better Than Bacon pizza, is super crunchy and thin but doesn't give you that 'umay' feeling. 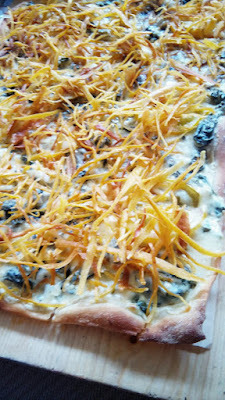 The cheese is melting slowly making you want to bite more. Two thumbs up. I really wish to bring a box of this back home but we are in a hurry. The Avocado and Bacon Smash is also a must - eat. Avocado is a seasonal fruit so whenever I see a dish or this fruit itself, I grab it with no questions asked. I love how they were able to integrate this fruit to a bread. Of course, the desserts are irresistible to me all the time. 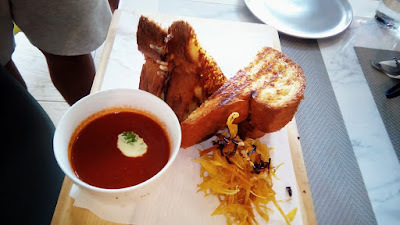 The serving is also big that it can feed two people. We were also lucky to try the coconut ice cream with fresh coconut and another one with mango. Actually this only available at a Coco Mama, the sister hotel restaurant of The Sunny Side Cafe at D Mall. This ice cream only found in Boracay is vegan - friendly, non - dairy, lactose - free, gluten -free and has a low glycemic index. 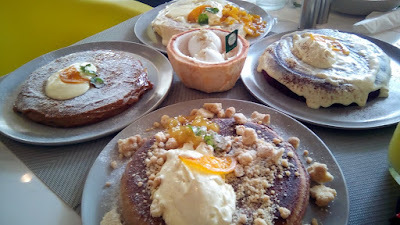 Next time I go to Boracay, I will certainly drop by at the Sunny Side Cafe. I couldn't seem to get enough of I Can't Believe It's Better Than Bacon pizza and All The Way smoothie.